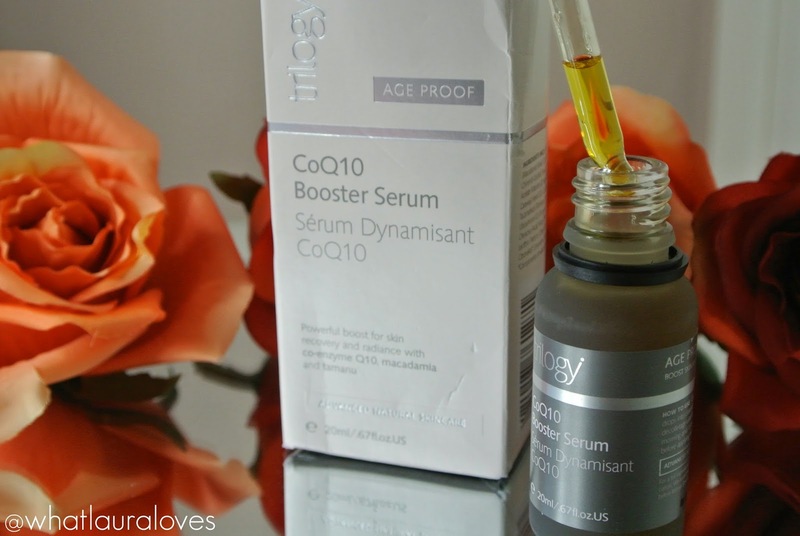 For those looking to give their skin a boost of radiance for spring then the Trilogy CoQ10 Booster Serum is a fabulous option. I’ve been using it on and off for months now and have found that it is great for giving my skin back its glow when it needs it the most. 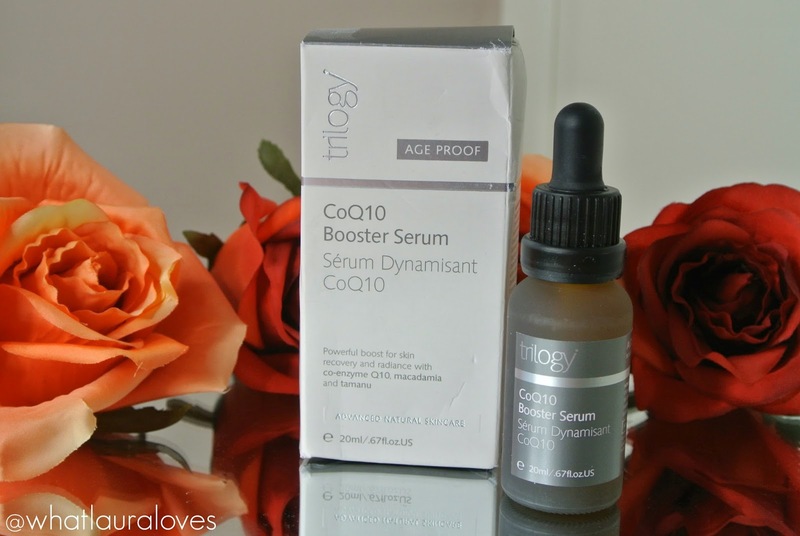 The Trilogy CoQ10 Booster Serum is a 100% blend of vitamins and antioxidants including CoQ10, tamanu and essential oils which work together to transform the skin from dull, tired or dehydrated to bright, hydrated and glowing. It isn’t a clear or milky serum like I’m used to as it has more of an oil consistency that warms up further on contact with the skin. 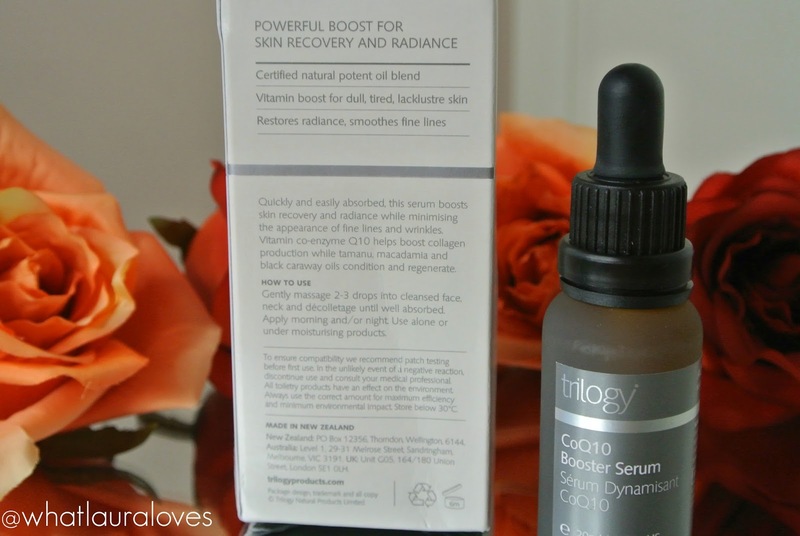 It feels instantly hydrating and makes the skin look so well moisturised that my skin looks more youthful after I have used it. Like I mentioned, I have been using it as and when I feel as though I need it as I notice a difference in my skin after the very first application. This is great news for me, especially with trying out other products for my blog. What I have found particularly great about it is the way that it makes my skin look smooth and perfected and after it has had a chance to get to work over night, I wake up with really healthy looking, glowing skin. I use this at night only however it can be used morning and night for even better results. I remove my makeup, cleanse my face, tone and then apply the serum. I apply a couple of small drops to my face, one to my neck and one to my décolletage and then leave it for five to ten minutes to fully sink in. I find that it takes a little warming through massage to get it to absorb into the skin and once it has sunk into the skin, I am able to feel it on my skin but in a very moisturising way, not in a greasy or sticky residue way. Afterwards, I follow up with my night cream and neck cream and allow everything to sink in fully over night. I would recommend this serum for all skin types really as I have super oily skin and it works really well for me but I also think that it would be even more great for those with dry skin. As it is packed full of antioxidants, it is ideally suited to anyone who is concerned about ageing prematurely (usually 25 years old and above when the hyaluronic acid in the skin starts to decrease) or those who already have fine lines. Available from Look Fantastic, Feel Unique, Boots, Debenhams and the Trilogy website. What are your favourite products to use when your skin is in need of a boost? CoQ10 is wonderful. I'd love to try that serum!! This sounds like a really nourishing skin product. Great review!